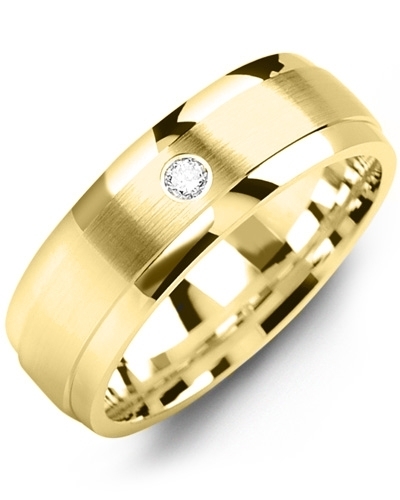 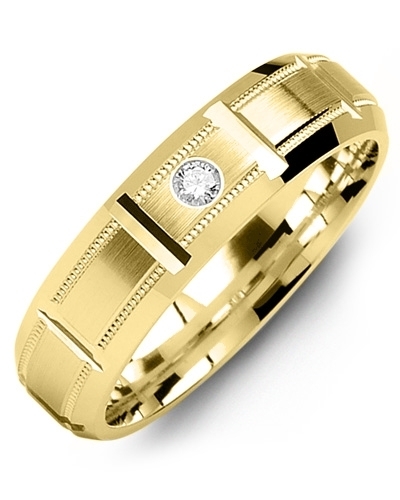 MRI - Brush Beveled Spaced Diamonds Gold Wedding Band Shine on your wedding day with this sleek and sophisticated Brush Bevelled Spaced Diamonds Gold Wedding Band. 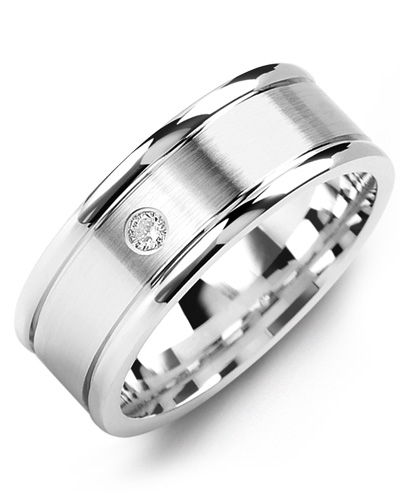 A modern masterpiece with minimalistic detailing, it combines brush and high polish detailing, bevelled edges for a flawless fit, and 3 dazzling round gypsy-set diamonds with a combined carat weight of 0.06ct for inimitable sparkle. 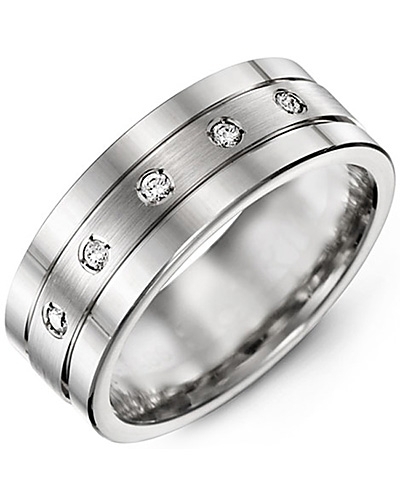 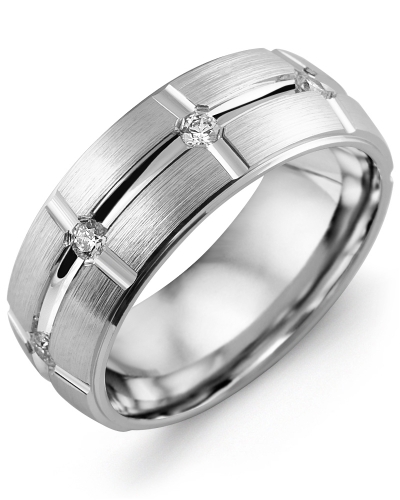 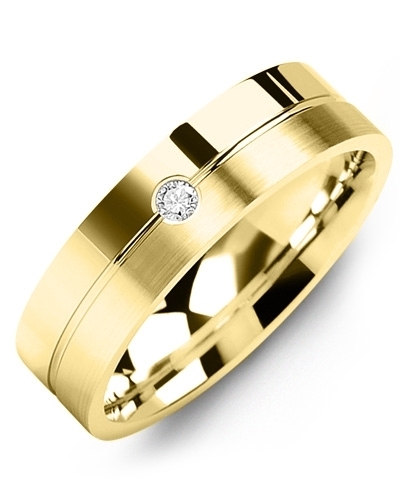 Choose your preferred gold colour, width, and karat option to create your dream wedding ring. 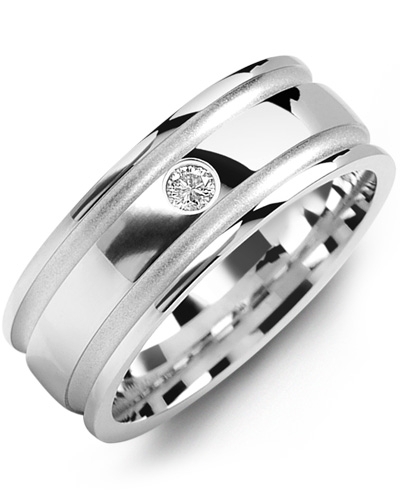 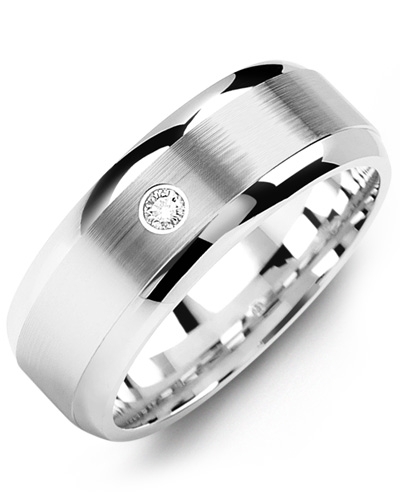 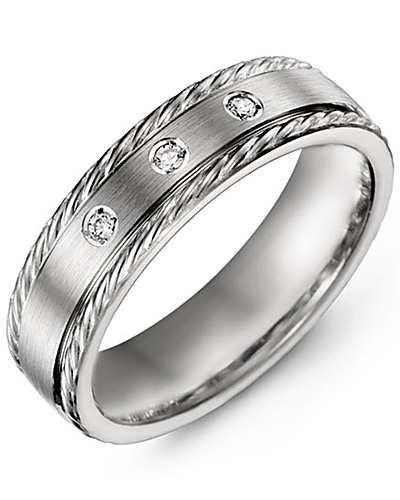 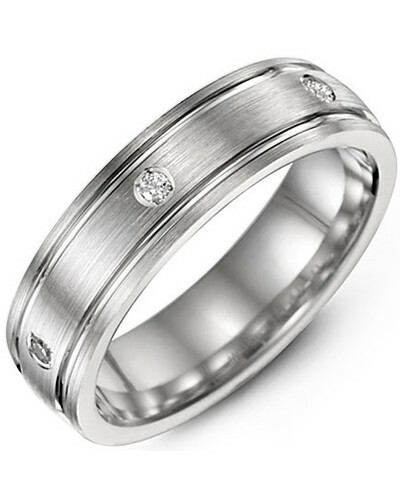 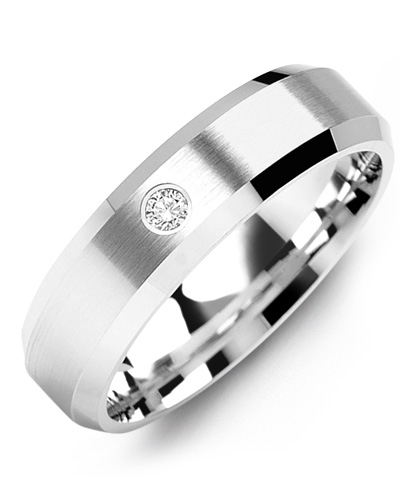 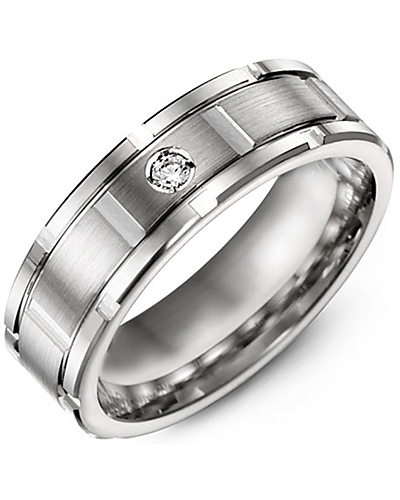 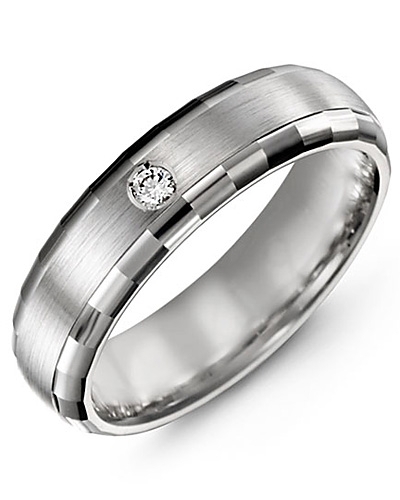 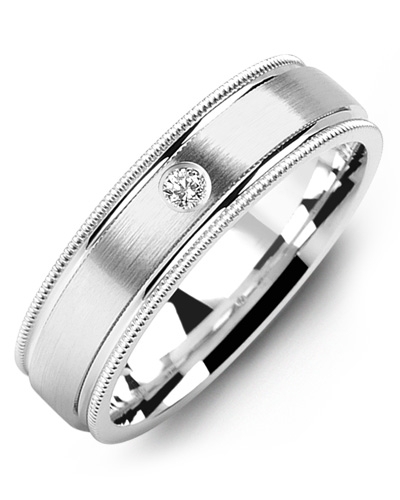 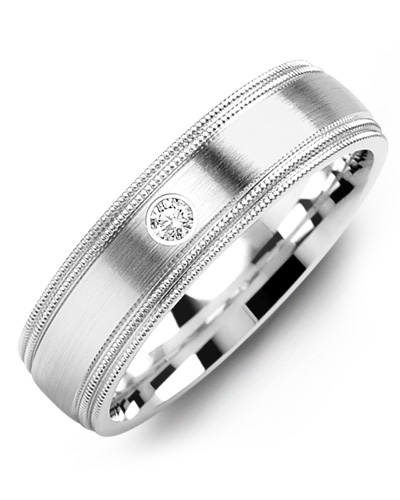 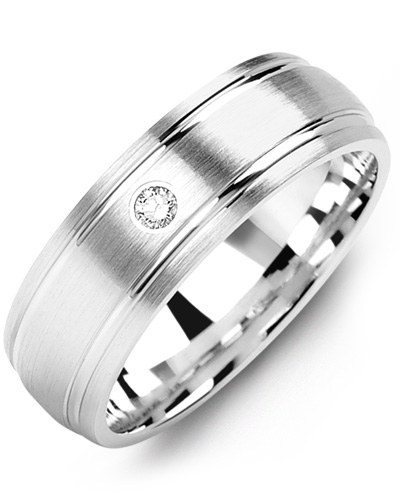 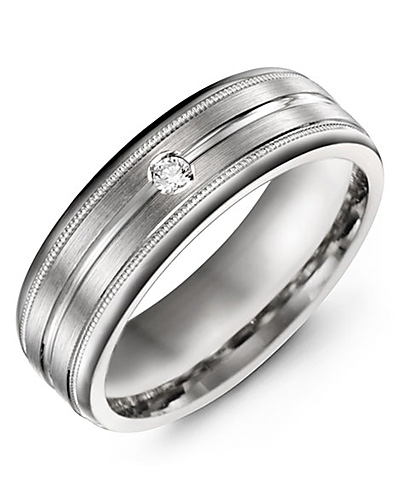 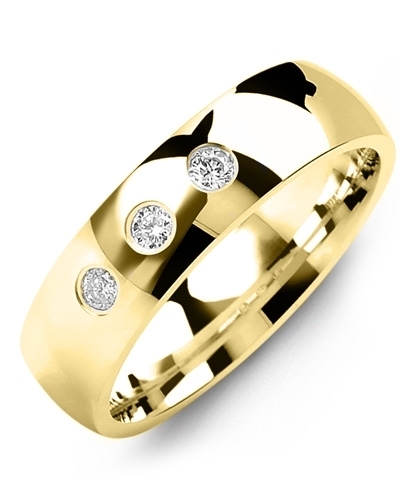 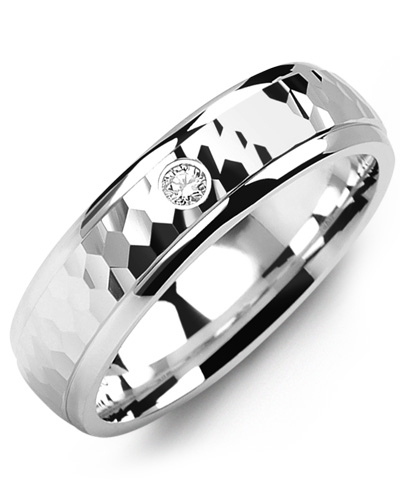 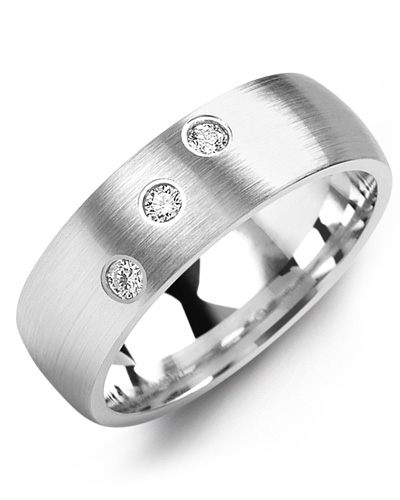 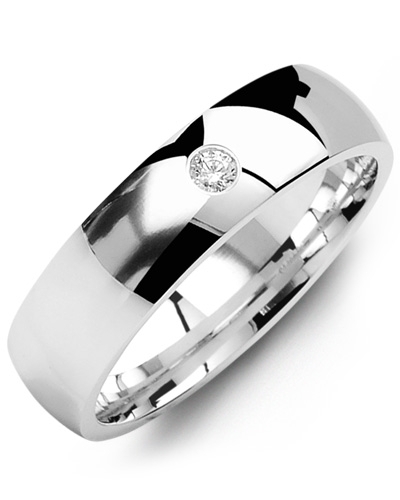 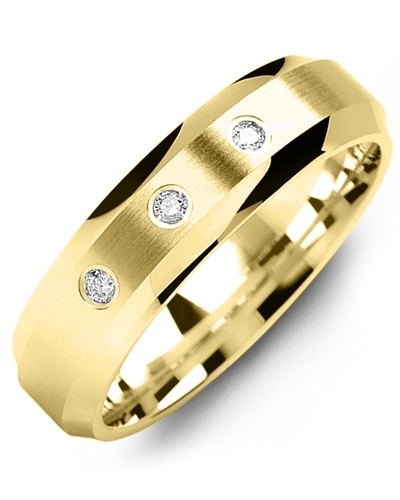 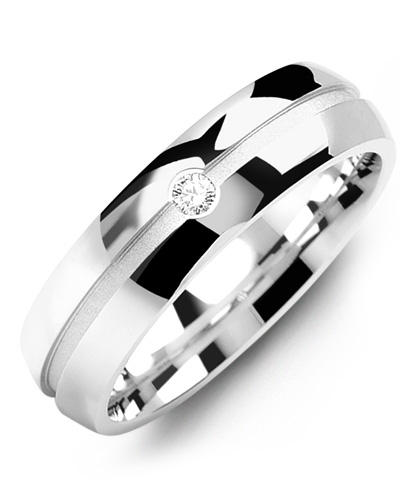 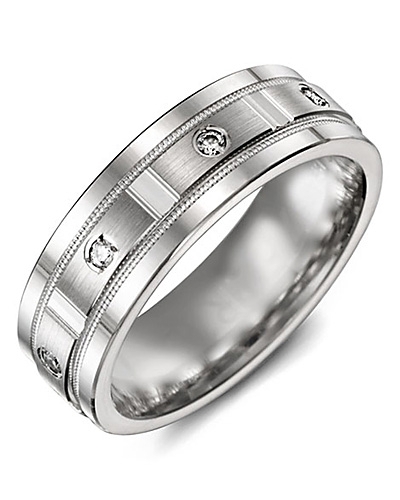 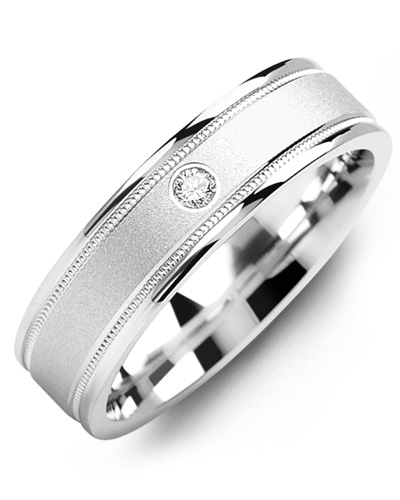 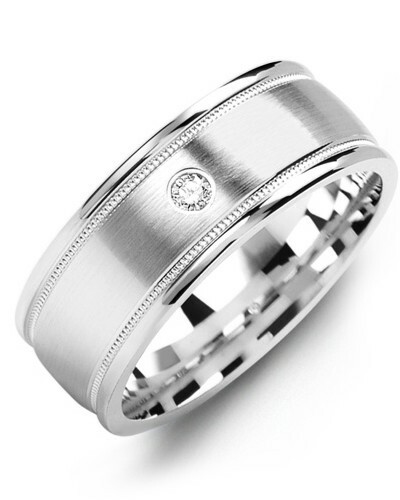 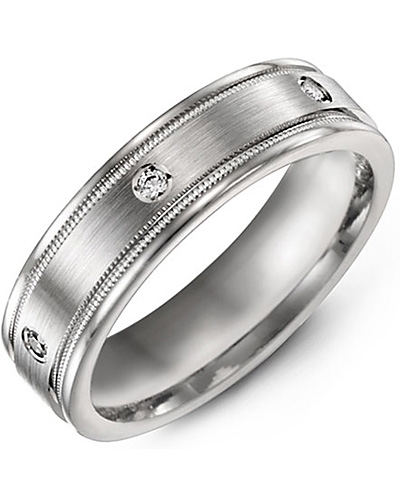 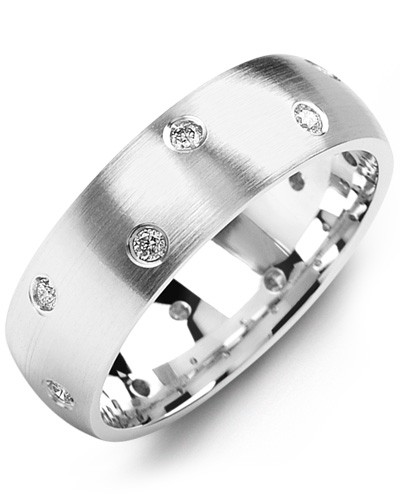 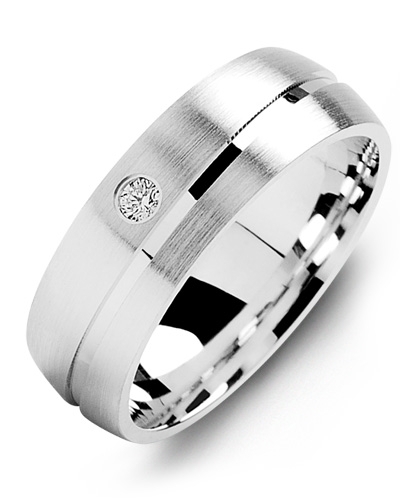 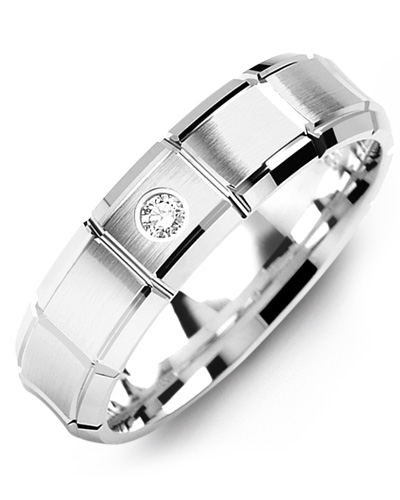 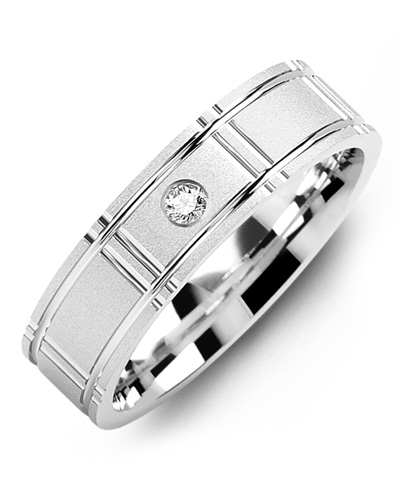 Shine on your wedding day with this sleek and sophisticated Brush Bevelled Spaced Diamonds Gold Wedding Band. 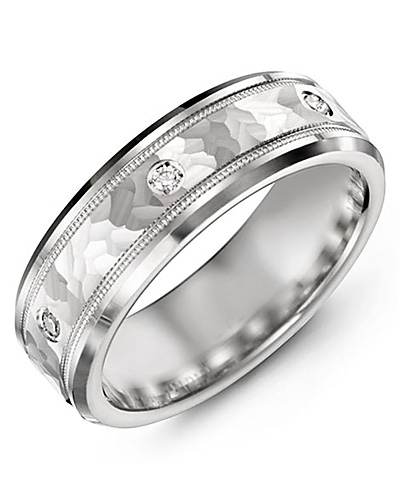 A modern masterpiece with minimalistic detailing, it combines brush and high polish detailing, bevelled edges for a flawless fit, and 3 dazzling round gypsy-set diamonds with a combined carat weight of 0.06ct for inimitable sparkle. 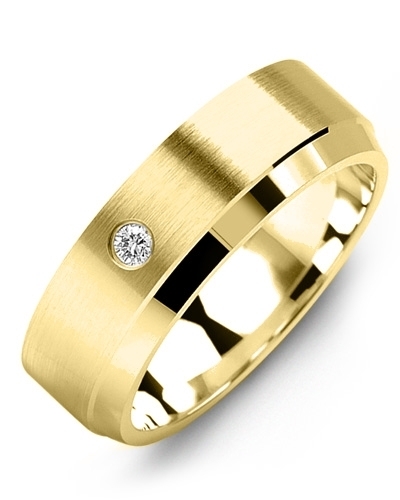 Choose your preferred gold colour, width, and karat option to create your dream wedding ring.